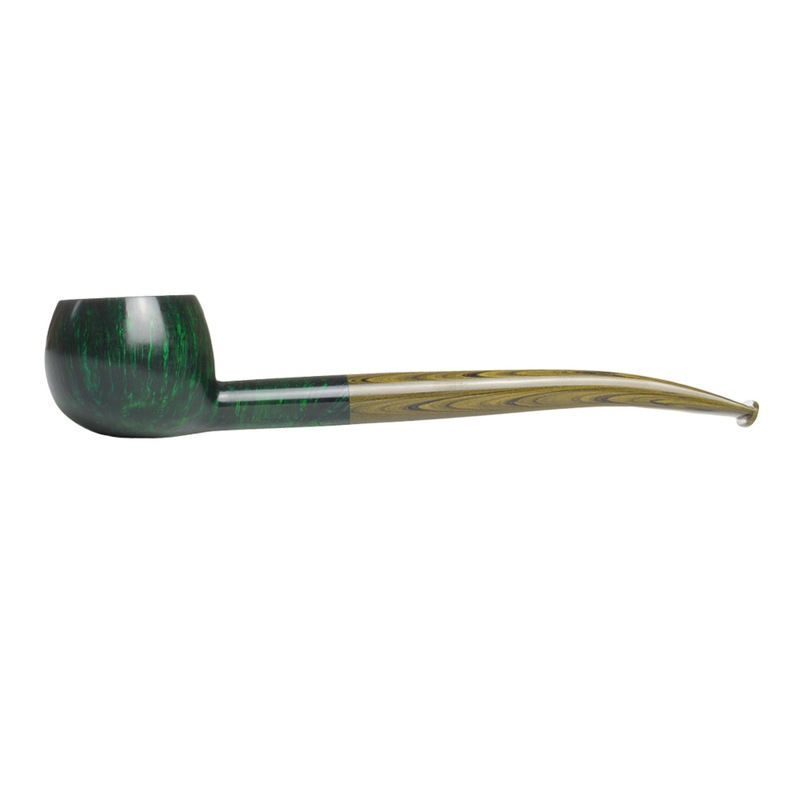 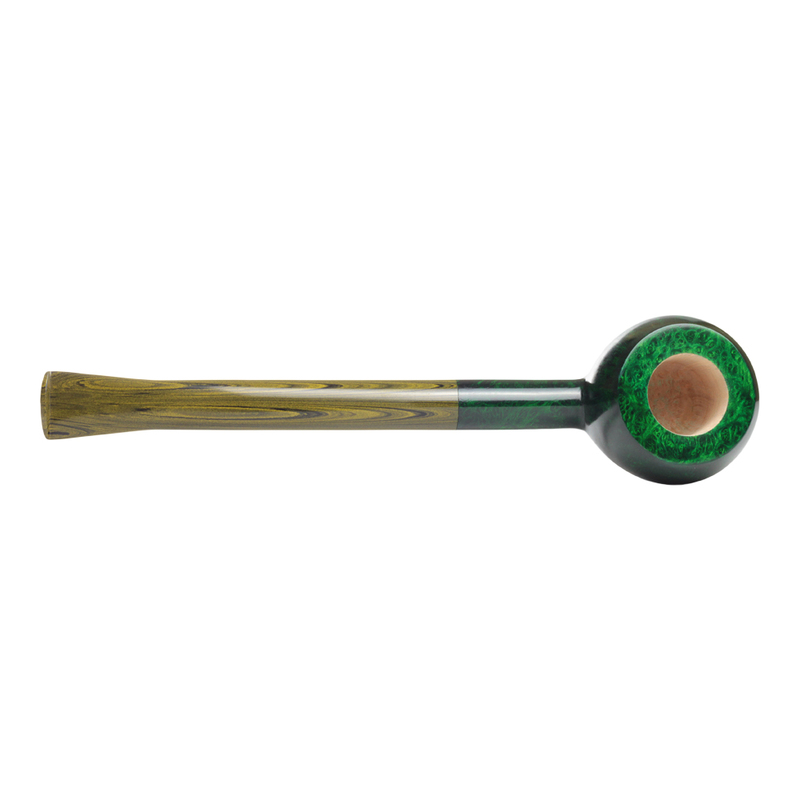 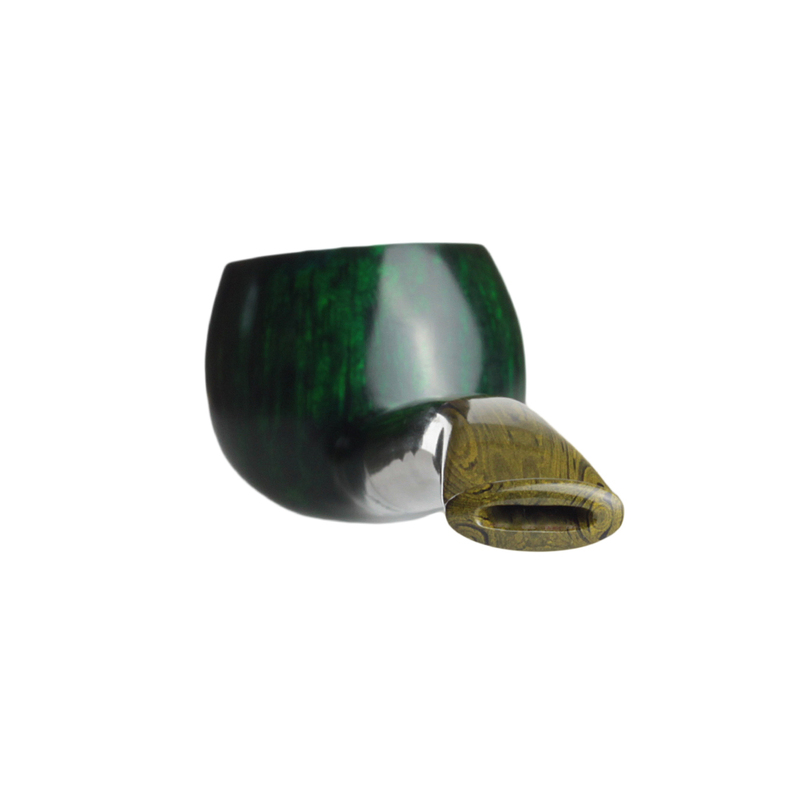 As many pipe smokers suspect, and pipe makers know, green can be a tricky colour to get right on a pipe. 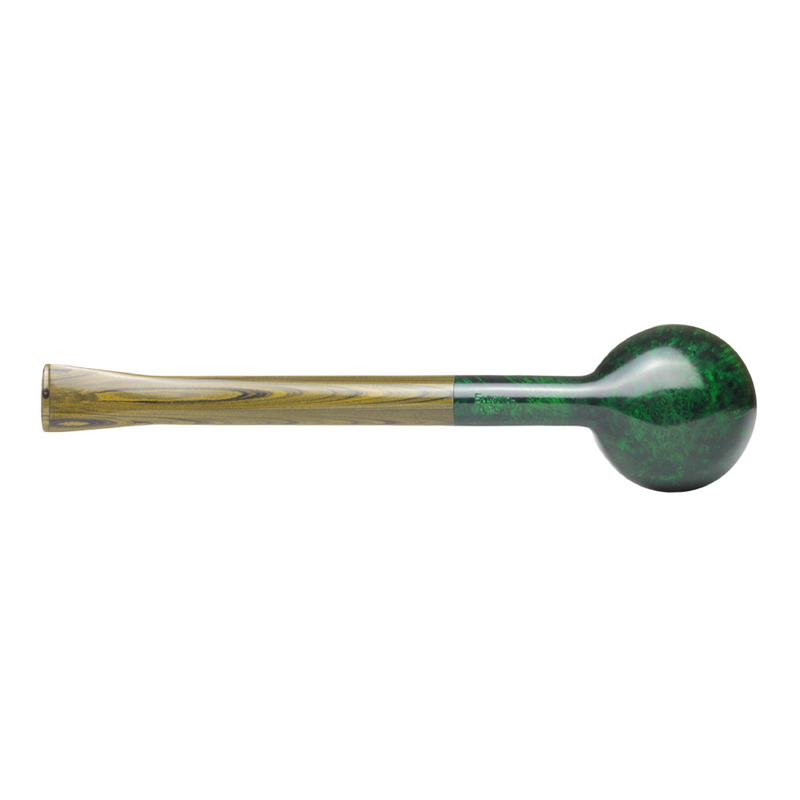 But it can be done. 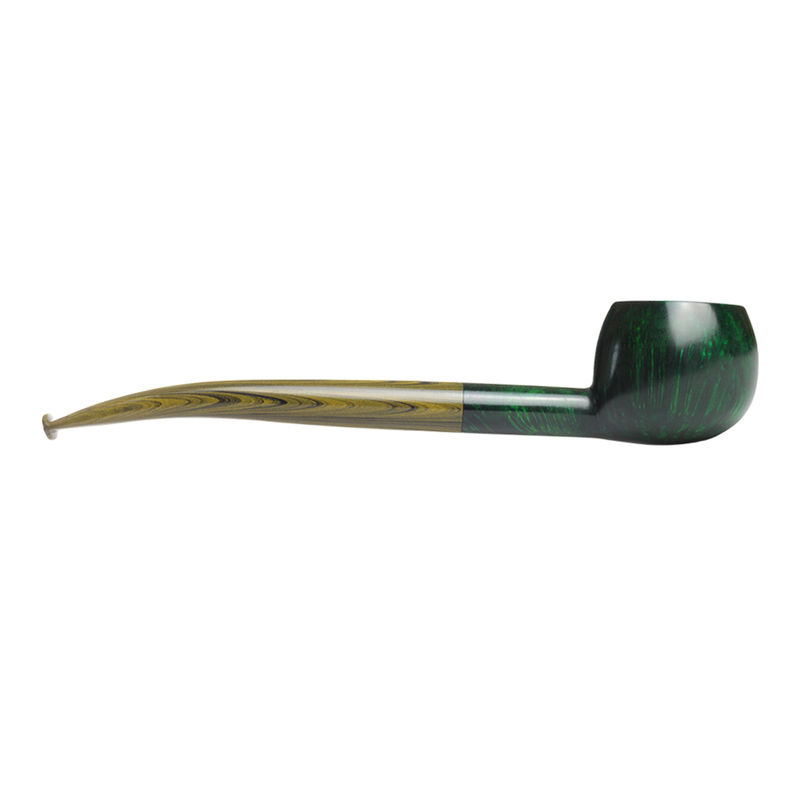 Here, the emerald contrast stain has been paired with a regal olive Cumberland stem. 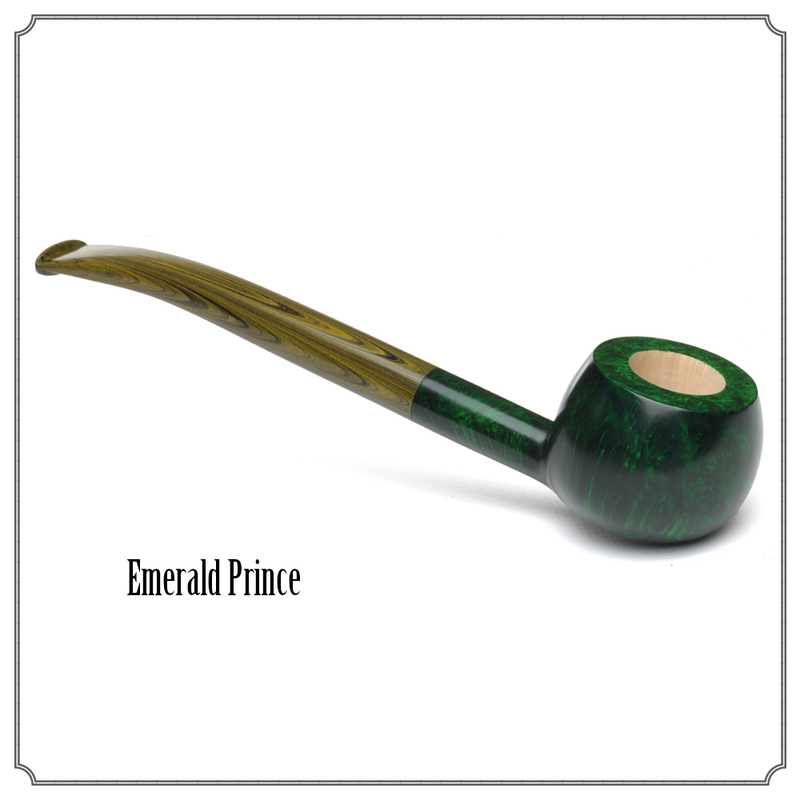 The extra length on the Prince promotes a cooler smoke.